“Saving Christmas”– Katie strives to keep her long-separatedparents apart when her father, Marty (Patrick Duffy), arrives in time to surprise the Otto family for Christmas. Anna-Kat does her best to help Tripwin Taylor back but has a hard time getting past a very persistent Pierce (Milo Manheim). 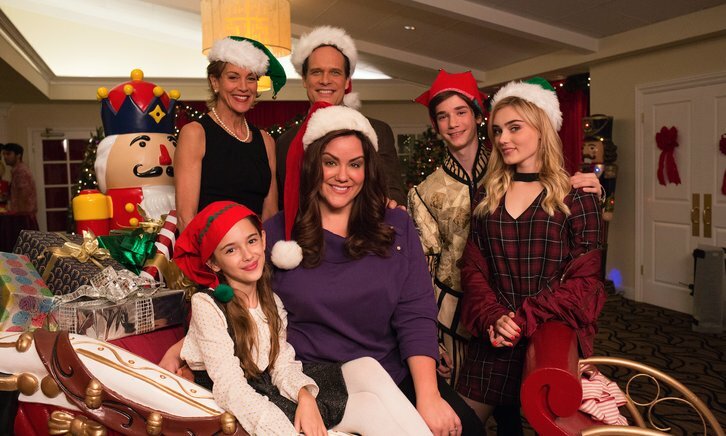 Meanwhile, Oliver thinks no one will remember him as the mask-wearing villain in the school’s production of “The Nutcracker” but quickly takes center stage when a series of mishaps damages his costume, on an all-new episode of “American Housewife,” airing WEDNESDAY, DEC. 12 (8:30-9:00 p.m. EST), on The ABC Television Network, streaming and on demand. Guest star Wendie Malick returns as Kathryn. Patrick Duffy guest stars as Marty and Milo Manheim as Pierce. “Saving Christmas” was written by Jeremy Hall and directed by Jennifer Arnold.